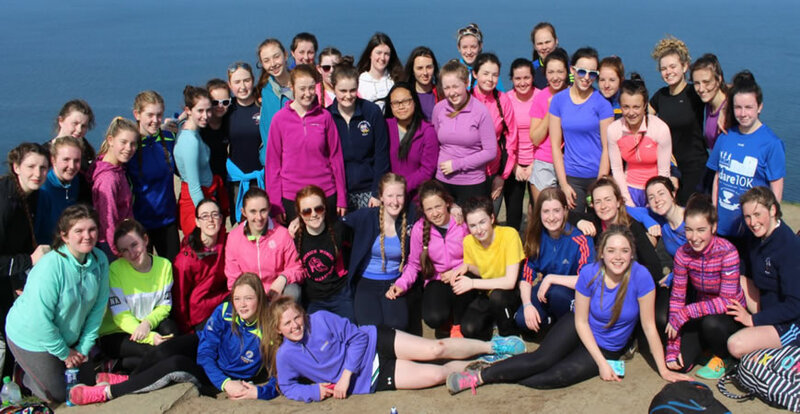 On the 21st of April, 50 TY students went to Fanore, to take part in an Adventure Activity as part of the Presidents Award. Our plan was to walk 30 kilometres from Fanore to Doolin, staying overnight in Doolin, and then onto Lahinch the next day. We were dropped off in Fanore, and began walking in the direction of Doolin. We were mainly walking through fields and grass roads! On the first day alone we covered around 17 kilometres. When we finally reached Doolin, we were split between our two hostels, The Rainbow Hostel, and Flanagan’s. We then made our own dinners, which was part of the activity, and took a break from all the walking! The next morning, we set off early around 9 o’clock, and began our walk towards Lahinch. After a few hours of walking, we finally arrived at the Cliffs of Moher. After conquering a very steep incline we stopped for a break, took some photos, and then we walked towards the bus. We drove to Lahinch and stopped for lunch and ice cream! Finally we drove back to Limerick. We were exhausted, but we were delighted to have completed the journey. It was such a great experience and we had a brilliant time.